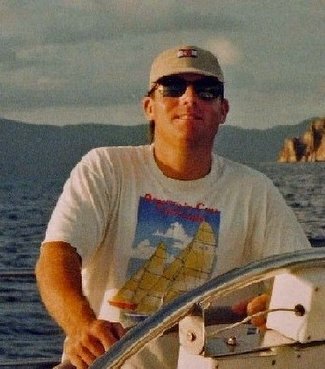 For those with a hefty tax return, a sudden windfall or a big spring bonus here's an article (billed as a guide) in Forbes magazine about buying a sailboat. The article quotes Phil Bennett, senior sales director for The Hinckley Company, "A boat can be a very emotional purchase...make sure that you use a little bit of rational thinking, or you may end up with more boat than you need." In my experience rationality isn't usually a major component of desire (see this post). So what about buying a boat in the real world...you know the one with college savings, mortgages and credit card debt? Depend on a broker, advises Forbes. Well sure, if you want to pay a hefty commission. Advice from salesman Mitchell Gibbons-Neff of Sparkman & Stephens in reference to a 114 yacht, "...a professional crew is harder to find than a good boat." Thanks Mitch. And surprise, Forbes says name brand has something to do with cost, cites examples like Swan, German Frers, Farr and Sparkman & Stephens. Most of us should probably look beyond Forbes for counsel... a big take away from my time working on sailboats is the money it takes just to maintain a vessel - it's staggering. Ever seen the owners face when a spinnaker blows? Clichés come to mind, for example, "If you want to know what it's like to own a boat stand in a cold shower and rip up $100 bills." A silly thought but not far off. Interesting models have emerged to deal with the expense of owning. Check out Sailtime, a franchise that sells shares of a boat, usually a Hunter, so that cost is distributed. The boat I raced on in San Francisco was owned by a small group of partners. This can work if you can get along, agree to take turns being captain, etc. Here's a link to an article that details some of the legal aspects. Failing all of that there's always the classifieds. Given the qualities of fiberglass it's reasonable to expect to be able to find a well maintained second or third hand boat that can be serviceable for years. Just remember to factor the cost of maintenance and ongoing care.